We benefit our clients by leading coordination meetings and resolving coordination conflicts, ensuring that all distributed documentation is maintained and current, detailing project close-outs (as-built drawings & BIM data/reports). Thermal bridges do not form. 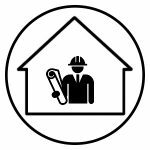 Our vast experience in passive House building ensures a high quality of design, services and detail in all aspects of the build. We will help you plan and design Passive House and take your project from concept to completion in a timely and cost effective manner. We are one of the very first companies in BIM strucutural engineering and have completed more than a dozen different BIM projects in the Nordic countries. Descon ensures optimal and efficient structural design solutions for unique projects. We are implementing BIM technologies and solutions throughout the design cycle from concept, resource planning, price calculation to manufacturing and construction processes. What opportunities offers BIM technology to optimize building design? designers of the first certified two-flat residential passive house in Baltic countries. 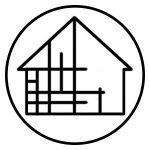 Being the founders of Passive Houses in Lithuania, we are one of the leading experts within Baltic states and Northern Europe. 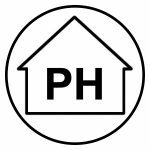 All the projects, either designed or supervised by us, have been within Passive House standards. Energy-efficient and sustainable building design ensures rational solutions and guaranteeing the highest energy efficiency, sustainability, comfort throughout the building life cycle. designers of the first office building of energy efficiency class A in Lithuania. For the implementation of projects DESCON uses The Royal Institute of British Architects model for the building design and construction – The RIBA Plan of Work. The RIBA Plan of Work organises the process of briefing, designing, constructing, maintaining, operating and using building projects into eight Work Stages. Preparation and Concept design stages are crucial for the savings of costs of the project. Tekla BIM Awards 2016 . Nominated projects: “Maxima headquarters” and shopping center “NORDIKA” in Vilnius. Tekla BIM Awards 2014. Project “IKEA office building” in Malmo, Sweden. Open BIM awards 2016 Vilnius. Project shopping center “NORDIKA” nominated in categories: “The best integrated BIM project” and “The best structural engineering project”. DESCON received German-Baltic Chamber of Commerce award “Made in Germany”. DESCON received German-Baltic Chamber of Commerce award “Young Business 2013” for the pioneering in Passive House designing. CEO of company DESCON – Mindaugas Dagys is certified BAS-P/BAS-U in Sweden.